This shaving brush is hand filled with the finest silver tip quality badger hair. Silver tip hair is the longest , softest, most rare and the most expensive badger hair. It has a silver white untrimmed hair ends to provide a really luxurious lather and feel to shave. 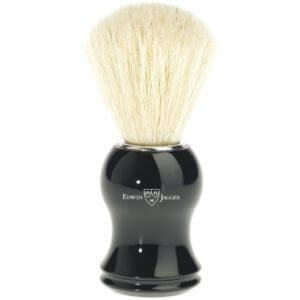 Traditional English Handmade Shaving Brush by Edwin Jagger. 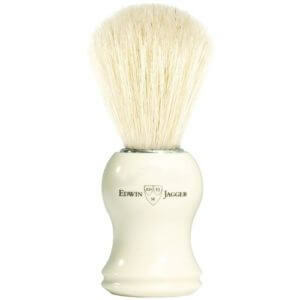 These stunning imitation ivory shaving brushes are handmade in Sheffield, England. We recommend that after daily use, shaving brushes are thoroughly rinsed in warm water and hang dry in a stand.